A South Florida resort owned by a subsidiary of Brookfield Asset Management Inc. (BAMa.TO) has been put on the block and could fetch as much as US$1 billion, according to people familiar with the matter. 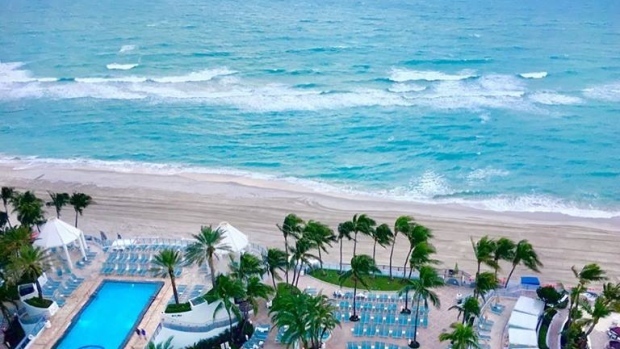 Thayer Lodging Group, the Brookfield subsidiary, has tapped Newmark Knight Frank and Hodges Ward Elliott to market the Diplomat Beach Resort, a 1,000-room hotel in Hollywood, Florida, according to one of the people, who requested anonymity. Representative for Brookfield, Newmark Knight Frank and Hodges Ward Elliott declined to comment. The Diplomat is coming up for sale at a time Florida resorts are outpacing the U.S. market. Revenue per available room increased by 4.2 per cent at Florida resorts in the first 11 months of 2018, compared to 3.4 per cent at all U.S. resorts, according to lodging data provider STR. Thayer acquired the resort in 2014 and subsequently launched a US$100 million renovation, converting the former Westin to a soft-branded property in Hilton Worldwide Holdings Inc.’s Curio Collection. The property, which has more than 200,000 square feet of meeting space, sits between the Atlantic Ocean and the intercoastal waterway, and was built on the site of a historic hotel that hosted performances by Judy Garland and Bob Hope.